MK Betzalel Smotrich(Jewish Home) tells PM that government approval of Shabbat commerce would violate coalition agreement. Haredi MKs wrote to Prime Minister Netanyahu regarding the issue of opening stores on Shabbat in Tel Aviv, but so did MK Betzalel Smotrich (Jewish Home), who sent a letter to the prime minister in which he demanded fulfillment of the coalition agreement between the Jewish Home party and the Likud which included a commitment to maintain the status quo on religious issues. Smotrich said that the government must reject the recommendations of the city's managerial committee, which called for the approval of the second amendment to the Tel Aviv municipal bylaws (Opening and Closing of Stores on Shabbat), and essentially allowed for the continuation of the activities of 164 shops in the city on Shabbat. 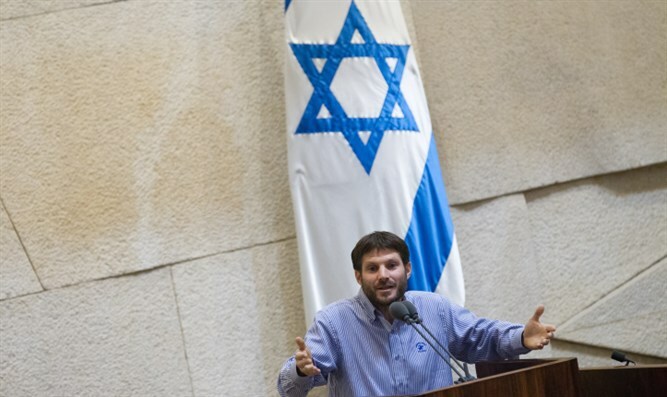 Smotrich quoted paragraph 42 in the coalition agreement between the Jewish Home party and the Likud, which says that "The status quo on matters of religion and state will be maintained as has been accepted for decades in Israel. " Paragraph 44 of the agreement states that "the government will act to respect the Shabbat and Jewish festivals and will not allow workers to be discriminated against for observing the Shabbat and festivals." Smotrich concluded that he agreed with the haredi representatives who wrote the letter and demanded that the government in its next cabinet meeting decide that it will not approve the amendment to the bylaws and will enforce the law in Tel Aviv and in every other place in Israel in accordance with the coalition agreement. Agriculture Minister Uri Ariel, also from the Jewish Home party, was interviewed on army radio and also stated that Shabbat observance in the public sphere was an integral aspect of the status quo. He said that the Jewish Home party would fight to preserve it. However officials close to Interior Minister Aryeh Deri claimed that Jewish Home head Naftali Bennett had refused to sign a letter to the prime minister demanding a governmental decision to sustain Shabbat observance in the public sphere in the Tel Aviv area.